I was talking with an RAF motorsprt RD racer, yesterday at the RAF Cosford Airshow, and picked up a few hints and tips. The most important one being that of fitting temperature gauges as seen on the ebay link above. An essential for fine tuning your motor and early detection of a piston melting situation!!! Anyway they are available, but quite costly . 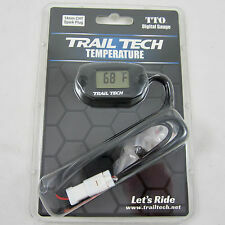 My question is does anyone know of a cheaper source for these under plug fitted temp gauges? Most of the raf lads get them from the states but they still aren’t cheap. They are about £50 each plus postage!!! I have ordered some parts off ebay and intend to have a go at making some for myself. Total price for 2 is £15 so far! I'll upldate the post with pictures when I get the parts and get it working. How did you do, did you manage to build your own ?? I did get the parts in the summer and did some testing using good under-plug thermocouples, but cheap gauges!! The readings were inconsistent and I've sort of shelved the project, but will pick it up again when I've sorted out my garage! !